What’s up at Raspberry Moon each month? Check out our newsletters to be in the know. We share healthy tips, recipes, skincare advice, book reviews, as well as events and new products on a monthly (or so) basis. April 2019 – Salaam/Shalom from Palestine/Israel! Plus, a Blue Orchid Facial, Mountain Biking, and Big Cats. March 2019 – Happy Saint Patrick’s Day! Upcoming Local Events, Pot of Gold Facial, and Pampering Irish Eyes with Products and Tips. February 2019 – Happy Satan’s Holiday and Chinese New Year! Lol. Plus the Power of Red Lips, a Lip Pucker Kit and a Cherry Chocolate Facial. January 2019 – Happy New Year! We’re all about Pomegranates with our Facial and Product of the Month. December 2018 – Our Holiday Shopping “Experience” is today! Plus, a limited edition Besame collection and a Spiced Pear Facial. October 2018 – My Favorite Holiday, Turkish Food Fest, Retinol Scrub, and Healthy Snacks When You’re On the Go. September 2018 – The 411 on Chemical Peels, our Peel Series Specials (lots of options! ), and a Viktoria De’Ann Night Cream Deal. August 2018 – Staying in Island Mode, Christmas in August Sale Spectacular, and the last Salsa at Sunset this summer. July 2018 – Relaxing in Hawaii, National Berry Month, Salsa at Sunset, and a Hydrating Cucumber Toner for summer. June 2018 – Hawaii is almost here, Father’s Day Gift Ideas, Adopt a Cat Month, Salsa at Sunset and Steps to a Better Shave. May 2018 – Melanoma Awareness, Mental Health, Tons of Sunscreens, and a Goodie Bag Giveaway. April 2018 – April is Rosacea Awareness, Stress Awareness, and National Garden Month, so we’ve got tips for all three. Plus a new eye product and a Jellybean facial. March 2018 – Spa for Spays is Tomorrow! Plus, a Raspberry White Peach Facial, Honeycat Deal, and 5 Things to BE. 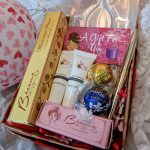 January/February 2018 – First Quarter Focus, Valentine Packages, Dry Skin Kits, Chinese New Year, and Besame Lips. November 2017 – Tell Me About Your Favorite Local Places, Holiday Sip and Shop, and It’s All About the Feet, No Fungus. – Costume inspirations, Antioxidants and Free Radicals, Exfoliators, Booberry Facial, and a special gift with purchase this month. September 2017 – What to do when you need to change your appointment, Travel Size Skincare Freebie with Purchase, Skin Script Moisturizers and a Ginger Clove Facial. August 2017 – Introducing the Skin Script Cleansers, Total Eclipse Tips, and a Fit Body Bootcamp Girl’s Night Out Experience. July 2017 – Happy Fourth of July! Introducing Skin Script Skincare, a Boardwalk Smoothie facial, Omega Fatty Acids in Skincare, and awesome new sunscreens. June 2017 – Happy Father’s Day! A Day at RM through my niece’s eyes, a tomato skincare deal, and dry vs dehydrated skin. May 2017 – Happy Mother’s Day! It’s also Melanoma Awareness Month, so stock up on great sunscreens from Raspberry Moon and get a cute free bag. April 2017 – Happy Easter! Get an awesome Easter basket, learn about Rosacea, and attend a fabulous event this month. March 2017 – Happy Saint Patrick’s Day! We’re all about eyes. And events. Lots and lots of events. February 2017 – Announcing Celluma Light Therapy for Face and Hands, Spa for Spays is next month, our April Lunch and Learn and a White Chocolate Raspberry Facial. January 2017 – Happy New Year! And Happy Chinese New Year – the Year of the Rooster! We’ve got lots of amazing events and educational experiences planned this year. Read what’s happening in the next few months, and treat yourself to an Orange Blossom Facial for a limited time. November 2016 – MoonLight Market is almost here! Plus, our awesome new workout peeps and fantastic new peptides. October 2016 – More details about the MoonLight Market, fall veggie facial and skincare specials, and yummy fall drinks. September 2016 – This month is all about the eyes with great new treatments and products, and mark your calendar for the MoonLight Market. August 2016 – It’s almost back to school time (already?) and our Saucy Chica Skincare Tomato Products are 25% off this month. July 2016 – Happy Fourth of July! We’re extending our Bee Smart School Garden Kit contest one more month, so enter now! June 2016 – Happy Father’s Day! Also, we’re holding a contest to win a Bee Smart School Garden Kit in honor of National Pollinator Week. May 2016 – Celebrate your mom with a Raspberry Moon Gift Certificate for her, and all our fabulous sunscreens are 25% off through the month of May. April 2016 – A new Facebook Flash Sale, Upcoming WSBG Meetings, Rubber Masks and Peel Off Foot Treatments. March 2016 – International Groups and Happenings in the Upstate, Important Plants for Bees and Butterflies, and a Luscious Lip Offer. February 2016 – Bees and Butterflies Lunch and Learn, Firecracker Flash Sale, Spa for Spays, and Eco Fin Treatments. January 2016 – A Facebook Flash Sale, Ladies Night, Our Next Lunch and Learn, and Eyelash/Brow Services. December 2015 – Raspberry MoonLight Market is TODAY, and Don’t Forget Your Raspberry Moon Gift Certificates! November 2015 – Our Lunch and Learn is Tomorrow, Moonlight Market December 1st, Spa Experiences in Asia, Gratefulness and more. October 2015 – We’re in India now so this month is all about Turmeric, with info, recipes, and skincare. 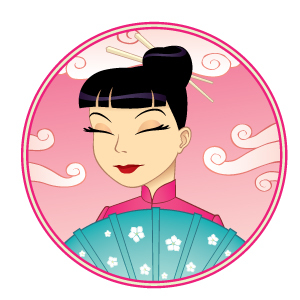 September 2015 – We’re off to Asia, Our Menopause Lunch and Learn Tea, and the Pantone Fall Color Report. August 2015 – Fabulous Deal on a Chemical Peel or Facial series, a Retail Special on Our Cute New Products, and Mark Your Calendars for the Next Lunch and Learn! July 2015 – A Big Thank You to the Raspberry Moon Family, Our Beach Bag Winner, Recent Blog Posts, and a Lemon Thyme Salt Scrub. June 2015 – Remembering Shoopy, a Beach Bag Giveaway, and Healthy Summer Skin Tips. May 2015 – Our Haiti Fundraiser continues, new St. Tropez tanning mousse, and Essential Oil tips. 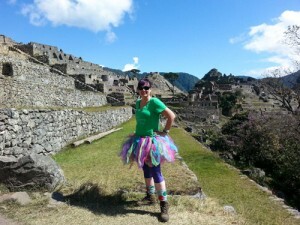 April 2015 – Lunch and Learn is April 25th, Yoga Sandals are back, and I’m going to Nepal! February 2015 – Happy Chinese New Year! Details for our next Lunch & Learn, new Bloody Mary mixes, and a request. January 2015 – Daily gratitude, Bon Bons you can plant, and a sold out Lunch and Learn. December 2014 – Holiday Prezzies, Shopping Saturdays, and a January Lunch and Learn. November 2014 – The Thai Festival of Light, Our Holiday Open House November 19th, and Festival of Trees Photo Contest. 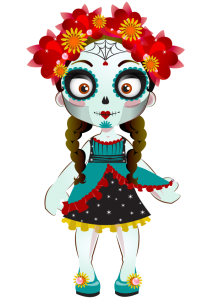 October 2014 – Dia de los Muertos, Tons of Events, and Fresh Smelling Poo. September 2014 – It’s time to Heal the Past, Live the Present, Dream the Future, and a Chemical Peel Series special. August 2014 – A tomato food fight, limited edition tomato skincare kit, and details of our upcoming events. July 2014 – The Japanese Tanabata Festival, a teaser of September events, and a Detox update. June 2014 -New Organic Sunscreens, New Saucy Chica Logo, and Appreciating “Shoopy” on Father’s Day. May 2014 – Celebrating Mothers Around the World, the Awesomeness of My Own Mom and Our Contest Winner, and Colorescience Sunforgettable Offers. April 2014 – Happy Songkran Day from Thailand, our Awesome Mom Contest, special Saucy Chica Body Wash deal, and an upcoming educational event. March 2014 – All about Holi Day in India, the Pantone Spring colors, and new Peel-off Masks. February 2014 – Valentine Gift Ideas, our new Celluma LED Light Treatment, and a reminder about our Chinese New Year specials. January 2014 – How is it 2014 already?? Lucky traditions for Chinese New Year, Chinese New Year specials, and some helpful reminders for those who bought gift certificates and/or coupon books last month. 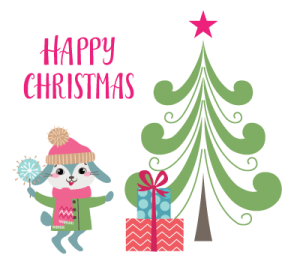 December 2013 – Fundraising update for Abby’s Animal Angels (and our coupon books), yoga to destress for the holidays, Designed skirts and more. November 2013 – News about our Rockin’ Holiday House Party, and living longer advice from The Blue Zones. October 2013 – A Recap of our Month of Forgiveness, a Special on our Chemical Peels, and a month of Sundays. September 2013 – The month of Forgiveness has begun! Full details about all the events planned, and our list of Silent Auction donors. Plus a sneak peek at the new website! August 2013 – I’m back from an amazing trip to Ecuador and Peru (and a 4 day hike to Macchu Picchu! ), and we’re continuing our path to forgiveness. Lots more info about the September events, and a Colorescience Lipshine special. July 2013 – I’m in Ecuador this month, but we’re starting on a path to forgiveness while I’m gone. Lots of info about why we should forgive, and exciting news about September events centered around The Forgiveness Project! June 2013 – Reminder about my Ecuador trip dates, revisiting The Clear Skin Diet, and a special Colorescience SPF offer. May 2013 – We’ve got a Spring Fever Special only from May 1st to May 3rd, great new products for your “girl,” and sunscreen tips. April 2013 – We’re all about Chinese Face-mapping this issue and for the next few months. This month we highlight the brows and what they mean. Also, how to shape brows and our Macadamia Peptide Eye Cream. March 2013, Part 2 – We had so much to share it couldn’t all fit in one newsletter! This issue contains a pashmina scarf fundraiser to help Thai schoolchildren and my thoughts about a new Health magazine article. March 2013, Part 1 – This month’s newsletter turns serious. After losing a friend recently to suicide, I researched the causes of suicide, how you can help a friend or yourself who may be thinking about suicide, and how to help those who are left behind. This is important information so please share! February 2013 – Congratulations to Beth Hicks, our Bucket List winner of the Clarisonic Mia! Also, the Chinese Year of the Snake, Valentine’s Day Gift Packages, DIY masks for dry skin, and how to do a facial at home. January 2013 – 2013 will be a year of changes. We detail what’s happening with Raspberry Moon this year, remind you to enter the bucket list contest, have tips for new moms, and a special offer on our new Colloidal Silver Healing Toner. December 2012 – The end of the year is a time of reflection, and we’d like you to reflect on your “Bucket List” and your “Reversed Bucket List”. Tell us your top 5 for each and you could win a Clarisonic Mia! Don’t forget about our Holiday Open House December 5th! We also explain every ingredient in our new Saucy Chica Salicylic Cleanser and share some fascinating facts about Rosemary. November 2012 – Just in time for Thanksgiving, we’re coming up pumpkins with the health benefits of pumpkin, our new Saucy Chica Skincare Pumpkin Power Exfoliant, and a Beef & Pumpkin Soup. Don’t forget about our Holiday Open House December 5th! September 2012 – We revisit Daphne Oz’s Dorm Room Diet book, discuss healthy snack ideas and great care packages for college students. August 2012 – Two special deals for 2 days only, all about lips – Luscious Lips Treatment and at home treatments for lips, Colorescience SPF 35 Lip gloss. July 2012 – The origin of the name Raspberry Moon, a Salute to the first Americans, a special deal on our Glow Mineral Repair Serum, and announcing a new service! 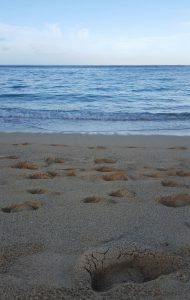 June 2012 – Should you tip for a spa service, Discordia Arts performance June 15th, and an at-home epsom salt soak. May 2012 – What to expect from your technician when you get a service, warning signs of melanoma, three special sunscreen kits, and a strawberry margarita jello shooter. April 2012 – A special April offer and a little sercie for facial customers, our experience getting a facial in New Orleans (hint: it wasn’t pretty), introducing ModaChica, spotlight on our Saucy Chica Red Wine Glycolic Toner, and an at-home avocado face mask. Whew! March 2012 – Thank you to everyone who’s been so supportive the last year. We’re starting anew, asking for input for future newsletters, and offering a great deal on Saucy Chica products! November 2010 – It’s all about Feeding the Kids. How to get them to try new foods, get involved in healthy eating, how to introduce healthy foods into your family meals, and a great pizza dough recipe! August 2010 – In honor of students going back to college, we have lots of tips and ideas from The Dorm Room Diet. Parents, we have some healthy care package ideas and a healthy lunch suggestion for anyone, student, parent, or none of the above! June 2010 – It’s all about The World’s Healthiest Foods – we have recipes and tips for buying and storing some of the best foods you can eat. Olive Oil, onions, garlic, tomatoes and more! May 2010 – May is Melanoma Awareness Month – are you protected? Some melanoma facts, sunscreen tips, and a special offer to help our SC troops get sun protection! April 2010, Part Two – We continue our environmental theme this month with a second newsletter covering eco-friendly gardening, ways to trim the cost of organic food, local food and gardening events and more! April 2010, Part One – One of the most important holidays, Earth Day, is this month, so we’re re-reading The Big Green Purse. There’s so much wonderful information in this book and it’s all so important that we’re doing two newsletters this month. The first talks about TBGP Shopping Principles, bottled water, coffee, chocolate, cocoa, and cleaners. March 2010 – The second part of our coverage of The Clear Skin Diet. Learn about acne – causes, treatments, and some healthy snack ideas to improve your skin from the inside out. January 2010 – We’re reading and summarizing a book on skin care, health and wellness, or beauty every month in 2010. Learn all about The Clear Skin Diet and Action Steps for beautiful skin inside and out! December 2009 – The origin of St. Nick, help for dry skin, new products from the Body Patisserie, and a special gift when you receive a December treatment. November 2009 – Travel to India in Greenville, get your first class at North Main Yoga free, the hot colors for Fall, our pre-holiday party, special Colorescience offer and more. October 2009 – All about Celia Cruz of Cuba and our favorite Cuban things in Greenville, make-up trends for fall, special Colorescience offer and more. August 2009 – Queen Noor of Jordan, Aromatherapy and Loving Scents Essential Oils, recommend products for us to offer, Belly Dance performance August 26th. July 2009 – The sights and spas of Colombia – event, facial, and products, summer makeup tips, and a yummy banana avocado face mask. June 2009 – A frank discussion and counterpoints to the June 2009 Women’s Health article, “Beware the Killer Bikini Wax”. Also, what to look for when choosing a waxing salon and Raspberry Moon’s waxing qualifications. May 2009 – Let’s go to Mexico, Raspberry Moon Tequila Tasting May 18th, Facial package offer, May is Melanoma Awareness Month so take advantage of our Colorescience sunscreen special and be protected! April 2009 – The mysteries of Brazil, and the even greater mystery of the Brazilian Wax! Find out how to prepare for a wax, some featured products that can make waxing easier, and how Brazilians got their name (the wax, not the people). March 2009 – Congrats to our winners from last month, we’re off to Ireland this month in our questions and offers, a great deal on cool Colorescience Genie bottle combinations, answer quick to win a brow shaping. February 2009 – It’s the month of love and we’re celebrating with Champagne – What is Champagne, our Champagne and Roses Facial Treatment, Kissable Lips event, and Colorescience Lip Restore system. January 2009 – Travel with us to China this month! The beauty benefits of green tea, a green tea face mask, indulge with our Imperial Jade Facial Treatment, win our product of the month, a Jade Facial Roller. December 2008 – Holiday hours, results of our latest fundraisers, fending off germs this winter, a great at-home pomegranate scrub, a special facial offer, and a special on our new product, RevitaLash. November 2008 – We’re crazy about pumpkins this month! What is pumpkin wine, a pumpkin smoothie recipe, a pumpkin-licious facial, and Dr. Caniglia’s Pumpkin Wine Toner. Also, our pre-holiday party is November 18th, and don’t forget to create your wishlist! October 2008 – What is rooibos, breast cancer awareness month, pillow phluffing, soy candles on sale. September 2008 – Explanation of peptides, at home eye treatments, Colorescience event September 18th, Eye Candy Treatment proceeds to benefit SC Ovarian Cancer Society, new Colorescience Colore~Correctors. August 2008 – Celebrating five years in business with facials and waxes for $55.55, the dog days of summer and taking care of our furry friends, happytails doggie spa products on sale, pampered power pooch smoothie, last chance to sign up for our Beautiful Benefit. July 2008 – News alert: chemical sunscreens are damaging coral reefs, protecting lips from sun damage, new products: zakkerz and ta-tas, our Beautiful Benefit is August 9th. June 2008 – We’re all about Dad this month: Guy Gear products on sale, the best way to shave, home scalp massage recipe, save your products from the heat. May 2008 – Melanoma Awareness Month, free skincare kit with purchase of facial series, Colorescience SPF30 on sale, benefits of a facial, and an at-home shower scrub. April 2008 – Go ‘green’ for Earth Day and every day, $5 of every facial donated to plant trees locally, environmentally friendly refills on sale, all about dry brushing, don’t forget a gift certificate for mom! March 2008 – Luxuriate in a Cleopatra Peel, last chance for tickets to our Beautiful Benefit, do you need an eye cream?, and a milk bath worthy of Queen Cleopatra herself. February 2008 – Indulge with a Chocolate Raspberry Truffle Facial, Champagne and Rose Body Products, be sure to check out our Beautiful Benefit March 1st, get your pet spayed through Animal Allies, and find solutions to dry, cracked lips. December 2007 – Results from our Teen Skincare Event, Our new Jade Facial Rollers (Product of the Month), Mark your calendars for an Adult Skincare Event, Santa’s wishlist and online gift certificates. November 2007 – It’s all about teens! Facial of the Month: The Half-Moon Facial, Crush Teen Mineral Makeup fundraiser, TESS Teen skincare product, Santa’s wishlist and online gift certificates. October 2007 – Facial of the Month: The Trick or Treat Facial, HoneyCat Cosmetics, the Crush Teen Mineral Makeup fundraiser, our store is now online, and let us be Santa’s helper this holiday season. September 2007 – Facial of the Month: The Summer Breeze Circuit Peel Series, Garden Goddess Body Butters. Details on several worthy charity events happening this month. September is Ovarian Cancer Awareness Month – do you know the signs? August 2007 – Facial of the Month: The Summer Breeze Circuit Peel Series, Jan Marini Age Intervention Face Serum, Middle Eastern Dance Performance, Now open some Mondays. July 2007 – Facial of the Month: The Summer Breeze Circuit Peel Series, Bottled Sunshine, Colorescience Event, Now Open some Mondays. June 2007 – Facial of the Month: Man of the Hour, Father’s Day ideas, Male grooming products, Colorescience Event, New Extended Hours. May 2007 – Facial of the Month – Oxygen Treatment at a special price, Mother’s Day Gift Baskets, happytails Canine Spa Line, Colorescience Event. April 2007 – Facial of the Month, Achromatherapy Gem Spritzers, Colorescience Event April 10th. 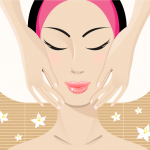 March 2007 – Facial of the Month, Colorescience Event, New Services, Brow Shaping. February 2007 – Facial of the Month, Chinese New Year, Dogs need a good home, Colorescience offers.